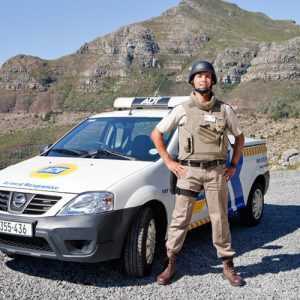 We are a security solutions company that reaches far across South Africa to provide the protection your home, business or retail outlet deserves. Our services are indispensable, securing assets with fast Armed Response and 24/7 monitoring as well as a host of sophisticated products. We secure a multitude of South Africans with fully integrated security systems personalised to suit homes, small to large businesses and commercial outlets alike. ADT Security, through its people, will be the leader in its chosen markets by delivering unsurpassed customer service, which in turn will deliver profitable and sustainable growth. ADT will always be there for you, will always stand beside you, will always be there to watch over you and yours. ADT Security is as old as the security industry itself. In fact, ADT invented home security. The story began in the USA in 1874, when the American District Telegraph Company, A -D -T, was formed through the amalgamation of several small telegraph delivery companies. At the outset, ADT employed messengers who were sent to clients to deliver telegraphs or collect ones that needed despatching. Later, call boxes were invented, and placed in clients’ offices and homes. Now there was interactivity between ADT and its clients and when an electric signal was sent, an ADT messenger responded. Though the technology has developed a thousandfold since, the principle remains the same. A client in need sends a signal – and ADT responds. By 1910, messengers began to double as watchmen and guards, and clients’ signal timers were monitored at ADT central offices. Thus did the security industry begin. Today, ADT Security, a subsidiary of the Fortune 500 company Tyco International, provides fire and security services to almost 8 million business and residential customers around the world. Internationally, ADT responds to tens of thousands of calls each day. And each day new learnings, experiences and technologies are fed back into the company, enabling continuous improvement.